Life can be hard. While school teaches you math, science and writing, it may not teach you financial planning, finding and enrolling in health care, or even sewing a button. Whether you are 10 or 100, there is always something that could be difficult. The DeWitt district library hosted the “Adulting 101” lessons for six weeks. Thats where “Adulting 101” steps in. 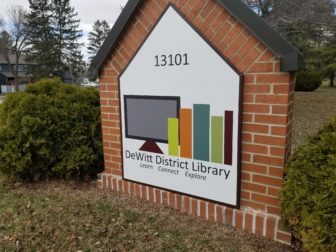 For five weeks now, the DeWitt library has been hosting one-hour long sessions helping the community with practical life skills they may not have learned in school. “Each session focuses on a different skill,” said Jacqueline Thompson, a librarian who works with teens and who helped create the program. “For most of them, we’ve talked to different speakers in the community and kind of pulled in people to collaborate with them,” said Thompson. Susan Bogner, who helps runs the program Thompson and who is the adult services librarian, thinks the program is especially important because younger generations may not have the same skills as the ones before them. “It’s less common to see people who are a ‘jack-of-all-trades,’ who know how to sew a button or change a tire or any of that kind of stuff that maybe our parents know how to do,” said Bogner. Bogner said it is ideal to teach young adults essential skills they might not have learned growing up or in school. Adulting 101 was launched last fall for t middle and high schoolers. The event was a hit and drew a mix of regulars and new timers, often depending on the topic. Adults, however, became so interested that this spring, the program is aimed at residents 10th grade and up. The event on financial planning drew the largest crowd, as it was a topic that transverses generations. The events are either hands on, as with sewing and tire-changing, or presentation based. While the positive feedback and interest are great, the best part for Thompson and Bogner is knowing they are helping. “It feels like a major win when the community comes in here and says ‘we heard about you guys’,” Thompson said. “I think we both come to every program that we put out with that kind of mentality of, ‘we just want to make a difference.’ We want to be able to help people where they are and in what they need. These programs are worth it,” Thompson said. Bogner echoed Thompson’s thoughts, thinking specifically of a pair of regulars. “They’re just so kind and they’re just so appreciative. They’ve come to every class, and just to see what they’re getting out of it and how it’s going to make a difference in their lives, it’s totally worth it,” Bogner said. After all is said and done, Thompson and Bogner can head home knowing that they’ve been able to do exactly what they set out to do. “You’re connecting, you’re engaging, you’re putting out the resources, you’re making sure everything goes well, facilitating. It feels like a good accomplishment especially when the numbers are there,” Thompson said. Bogner felt the same way. “I just feel like it’s been a positive experience, and I’m happy we did it,” Bogner said. Adulting 101 has concluded its six-week program. Voters in Michigan will get the choice to vote and make it recreation marijuana legal in the upcoming election. The Coalition to Regulate Marijuana like Alcohol has officially gotten the approval to get proposal one on the ballot for the November election.